Build Quality (7.5/10): Styled after AKG’s classic K240-series monitors, the HD668B features a simple-yet-functional construction of black plastic and vinyl. The cushioned split-headband design is reminiscent of higher-end Audio-Technica and Philips headphones and eliminates the need for a dedicated headband length adjustment. The vinyl used on all of the padding isn’t of particularly good quality but it gets the job done, as do the plastics used throughout the structure. The HD668B scores bonus points for the breakaway cable a-la Philips SHO9560, with a male plug positioned an inch or so down the cord. Two lengths of cable – a 1m portable cord and a straight 3m studio cable – are included. Additionally, any 3.5mm extension cable can be used in their place. Comfort (8/10): The inner pad diameter of the Superlux is quite large and they are fully circumaural. Clamping force is moderate and the headphones are very light. The cups are a bit too shallow to compete with my AKG K601/K701 when it comes to wearing comfort but the pads can be stuffed to alleviate the issue. The vinyl used on the head- and earpads is thick and smooth, and tends to invoke sweat more easily than the padding of most DJ cans. Isolation (6.5/10): Though the HD668B is marketed as a semi-open headphone, it provides very decent isolation and leaks surprisingly little. At reasonable volumes, these are usable even a library. Sound (8.25/10): Putting aside all criticisms of the HD668’s derivative styling and consumer-class plastic build, what’s left is the sound quality. The drivers Superlux crammed into the 668B are very, very impressive and no sub-$80 headphone I’ve heard before sounds quite this good. The general signature is balanced, crisp, and neutral in tone. The bass not at all exaggerated, instead appearing tight, quick, and accurate. Technically, they extend quite low but bass notes really thin out below 50Hz and the typical bass ‘rumble’ present in many consumer-class headphones is just not there. Those in search of bass that is deep, warm, and/or full-bodied probably won’t be satisfied with the HD668B but if control is the order of the day, the Superluxes perform exceedingly well. Bass texture and detail are also quite good – the Senn HD25-II performs just a little better when it comes to portraying subtle nuances between low notes, but then it is nearly four times the price. Expectedly, bass bleed is nonexistent and the mids are clear, crisp, and detailed. The clarity of the 668B puts nearly all of the similarly-priced headphones I’ve heard to shame. In terms of balance, the midrange is a touch laid-back compared to something like the HD25, but then the Superluxes are more spacious in general. Like the bass, the midrange is just a touch on the thin side of things and lacks the refinement of my higher-end AKG K601/K701 monitors. However, it is more of a compliment to the HD668B that its overall sound quality is good enough to warrant direct comparisons to the well-established and impossibly refined offerings from AKG. Again, those looking for warmth or lushness probably won’t like the HD668B but as a headphone that tells it like it is, the Superlux is difficult to fault. On the whole, the Superluxes have a bit of an analytical edge to them. The treble is moderately sparkly and tends to sound a touch cold. There is a very small amount of treble unevenness and a touch of grain that becomes quite apparent next to my AKG K701 or Ultrasone PRO650 but isn’t very noticeable in comparisons with most budget-class sets. Still, the HD668B is not for the treble-sensitive as it does tend to be quite shimmery. Cymbal crashes are energetic and authoritative, which in itself probably won’t be to everyone’s liking. If I had to pick another monitoring phone that renders high notes this way, it would be the Denon DN-HP700, which I like very much. The presentation of the HD668B, on the other hand, is quite straightforward. It is wide-sounding and airy. Depth is lacking in comparison to the width but instrumental separation is quite good and the headphones tend to be fairly transparent. The HD668B doesn’t sound as wide-open as my AKG K601 and K701 do, partly because the dynamic range of the drivers isn’t as great, but again the fact that such comparisons are even possible speaks volumes for the overall sound quality of the Superlux. Expectedly, the 56 Ω impedance does mean that the Superlux likes a bit of power and is slightly less efficient on the whole than Sennheiser’s HD25-1, but it does still play reasonably well out of more powerful portables. The slightly cool tonality of the headphones also causes them to synergize well with warmer sources for a thicker sound that is more ‘audiophile’ than ‘studio monitor’. Value (9.5/10): The Superlux HD668B has been praised plenty as of late, and all I can do is just heap it on – for the asking price, the headphone is an incredible performer for those who put resolution and clarity above all else. If there’s anything questionable about these, it is their portability– while they don’t look as bulky as my AKG monitors, come with a portable-length cable, and play nice with battery-powered sources, they are still full-size cans that don’t fold and really aren’t built to be crammed in a bag. For portable use, the similarly-priced Beyer DT235s may be a better choice with a well-balanced sound signature. 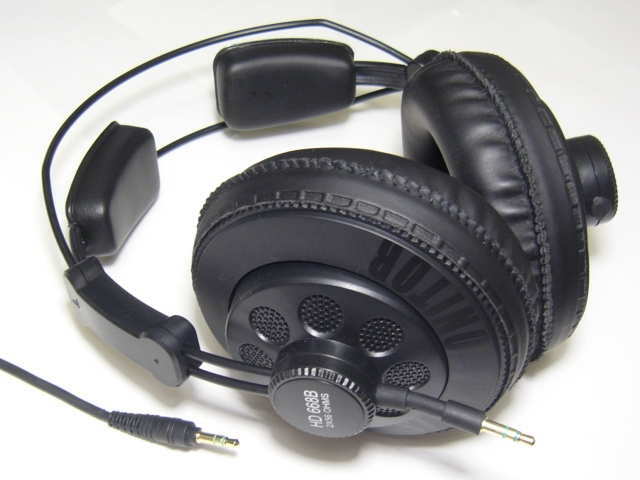 For use at home, the HD668Bs sits atop the competition. I would not call these headphones “neutral” as they have crazy spikes in the treble region that need to be EQ’d out. Just a heads-up, but this headphone is not showing up in the ‘portable headphones’ list, nor in search. How does this compare to the Brainwavz B2? I love the sound signature of the B2 and is currently looking for a pair of headphones that is mainly for gaming and music listening. I can get the Superlux HD668B for sub $40, but I also have a chance to get the Sennheiser HD600 for $300 which usually costs $400 and never goes on discount in my country. However, I only have a Fiio E10 to power the headphones and have no plans for upgrade. Which of the two would sound similar to the B2/FA DBA-02? I appreciate all that you do |joker|, what a great job you’ve done, I always look to your lists/reviews when I am in the market for some new headphones/IEMs. I love my Superluxes, I have been looking for a good pair of IEMs with similar sound. I had to try the Xaiomi Piston 3s because of their sound quality and price but I really disliked the sound signature and there was an area in the mid-high end that really sounded fake, distracting and hurt my ears. I was wondering if the Hifiman RE400s would be similar to the Superlux, or is there a better option in around the same price range. Re-400 would be the exact opposite of the Piston 3 in terms of upper mids/lower treble. While the midrange on it is more forward overall, the mid-highs are much smoother and less energetic. If you hadn’t had the experience with the Piston 3 I’d say it was not the ideal match for the Superlux sound, but factoring in how you felt about the Pistons the RE-400 does seem like a very good set to try next. Thanks for the quick reply. So based on my experience with the Piston 3 IEMs the RE-400s are a good choice but you wouldn’t consider them similar to the Superlux? Interesting, are there any IEMs that are more similar to the Superlux? I’d probably pick a Philips Fidelio S1 or S2 if I was going for an IEM companion to the Superlux. Those fall right between the Piston 3 and RE-400 on the audio tuning spectrum, though, and again in this case I think it may be safer to dive right off the deep end and go for the RE-400 instead. Should be a good buy! What is your opinion on AKG K 240 semi-open Studio Headphones and which would you pick, AKG or Superlux? I haven’t owned the K240 or listened to it for a prolonged period of time so I can’t really make a comparison. It didn’t blow me away the few times I have briefly tried it, and the Superlux is most likely a better value, but I can’t say which one is better in terms of sound quality. I have a Superlux HD681B and I’m really pleased with them. Would the 668B be different enough to own both? And final question, just to know: What would be a nioteworthy and audible upgrade from the HD681B/HD668B? You know: comfy headphones with great sound, well balanced and to use at home. Thank you in advance! Great and really useful site! Sorry, not familiar with the sound of the 681B. An upgrade from the 668B would be something like the AKG K550 or, if you want to go high end, Sennheiser HD600, which are still among my favorite high-end headphones (for sound and comfort) and can be had under $400 (sometimes under $300) these days. Can’t recommend them enough. That and I haven’t tried too many full-size cans in the $100-200 range. Mostly either sub-$100 or $200+. I’m sure there’s good ones out there, though. great review Ijoker. You sold me..I’m down for a pair of 668B’s…if nothing else, just for the fun of it. Peace!